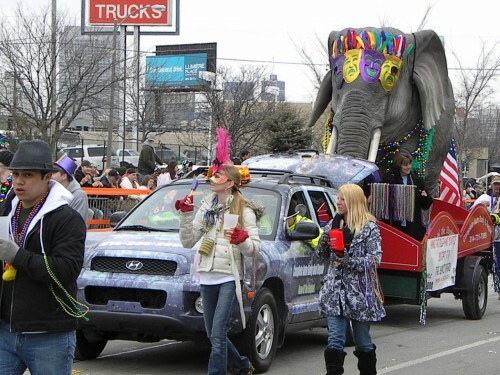 The St. Louis Mardi Gras presents the largest Mardi Gras parade outside the City of New Orleans, the Bud Light Grand Parade. The parade begins at Busch Stadium at 11am and runs south on Broadway through Soulard to the Anheuser-Busch Brewery. Over 10,000,000 strands of beads will be thrown from nearly 100 floats along the parade route. After the parade, other events are scheduled such as the Bud Light Block Party Tent and the Blues Alumni Experience. Live music will be found at venues throughout the neighborhood. The parade is FREE to enjoy. See website for more details and for more information on ALL the Mardi Gras festivities.